The Use Of Sprinkler Systems In Greenhouses has certain requirements: requires clean water, no pollution, no impurities; sprinkler irrigation pumps and water conditions should be set reasonable;The nozzle has good anti clogging performance. 3,The Use of Sprinkler Systems After the sprinkler pump starts, water pressure through the valve control, Irrigation time is generally in the morning or afternoon, ground temperature can quickly rise after the sprinkler. 4,The Use of Sprinkler Fertilization Irrigation fertilization can improve fertilizer efficiency, Frist, Pour the fertilizer into the fertilizer tank, and Open fertilization valves, then regulating the main valve to start spraying when there is water. 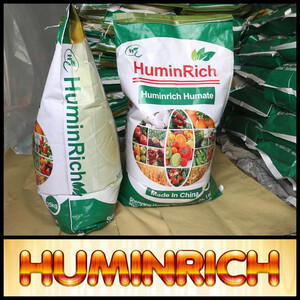 Huminrich Liquid Fertilizer&rsquo;s Features Huminrich Liquid Fertilizer is organic fertilizer,it&rsquo;s source from leonardite and it contains humic acid,fulvic acid,k2o,amino acid and so on. 1) Improves The Soil Structure, Reduces Nutrition Losses Huminrich Liquid Fertilizer not only contains humic acid also rich in fulvic acid or amino acid. 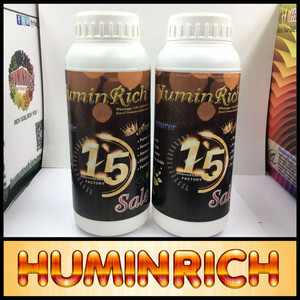 4) Increases Nutrient Absorption By The Root System Huminrich Liquid Fertilizer contains fulvic acid,can promotes root growth and chlorophyll content, enhanced photosynthetic efficiency, increase production and quality. Time added the loss of nutrients in the soil, soil, and have vitality, reduces soil continuous cropping disease caused by excessive absorption of nutrients, natural and environmentally friendly. Second is to inhibit the accumulation of k in the guard cells, plants can improve itself in case of dry cold water, close the stomata, or reduce the opening degree, water evaporation. 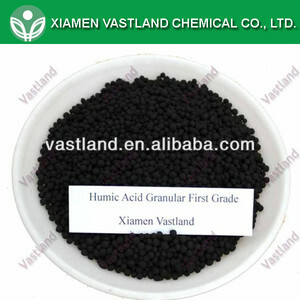 4) Improve Quantity And Quality Of Crops With its active content humic acid and fulvic acid,Huminrich Potassium Fulvate Fertilizer can improve quantity of soil available potassium,increase the uptake and utilization of potassium by plants. Q3: Could you offer free sample9 A 3: We can provide samples to customers for free for quality testing. but you should pay for the postage fees in foreign market, we will send for free in China market. Our product isn &rsquo; t dangerous merchandise at all, It is legal inspection merchandise. organic fertilizer's Direction for use 1.When used as base fertilizer, need deep plowing buried,used once or twice. 2.When applying fertilizer,Please pay attention to the isolation of fertilizer with seeds,germchits,radicles. Storage and transportation requirements of organic fertilizer This product should be stored in a cool, ventilated and dry place. The humic and fulvic acid molecules stabilize the chemical fertilizers in the soil, decreasing the typical 50-80% loss that occurs in most situations. There is also the beneficial component that humic acid acts to bind with and break down chemical residues in the soil, decreasing their long term negative impact. We manufacture the highest quality Humic Acid with the highest levels of fulvic and humic acid on the market,please feel free to contact us if have interested. 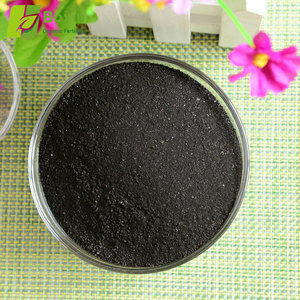 HUMIMASTER High Soluble Potassium Humate Acid From Leonardite Content Neutral Humic Acid Fertilizer It is shiny black tiny flakes, easily soluble in water and weak alkaline. 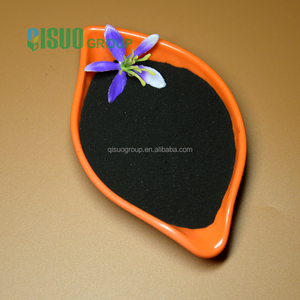 It perfectly combines potassium and humic acid which is extracted from young active leonardite. Fertilizer efficiency promoter: Greatly improve the utilization rate of nitrogen fertilizer, keeps 60% of nitrogen readily available and 40% as slow-release N.
5. Reduce respiration and transpiration of plants 6. 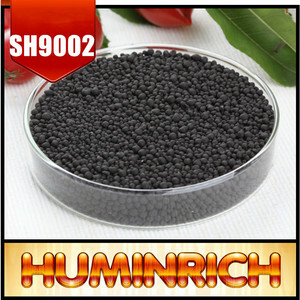 Acid humic also i ncrease the yield and improve quality of agriculture products 7. Improve effectiveness of pesticide and fungicide. 2. Well-trained and experienced staffs to answer all your enquires in fluent English. 3. Protection of your sales area, ideas of design and all your private information. Experiments show that soaking seeds in the Nord Agri Humic + solition increases germination andalso shortens period of germination for several days. ROOT WATERING You can water with Nord Agri Humic + solution newly planted seeds as well as seedlings and adult plants. If first time you water the soil after planting the seeds then the second time the same soil should be watered in two weeks Amount of solution in this case should be equal to water amount of ordinary watering. Plants readily absorb high amounts of fulvic acid and maintain it in their structure. 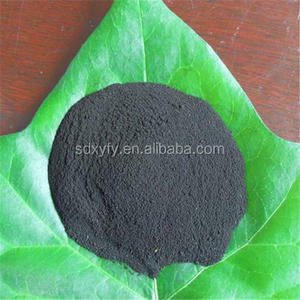 Humic fulvic acid application M AX SpecialFulvic70, fulvic acid is mainly used for agricultural crops, fruit trees, landscaping, gardening, pastures, grains, horticultural crops, etc. We are the only Chinese humic acid company who has OMRI certificate in every series. 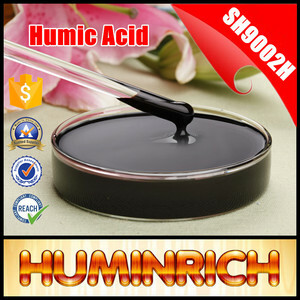 Alibaba.com offers 237 peat humic acid products. About 89% of these are organic fertilizer. A wide variety of peat humic acid options are available to you, such as humic acid, manure, and compost. You can also choose from granular, powder, and liquid. As well as from quick, slow, and controlled. And whether peat humic acid is free samples, or paid samples. 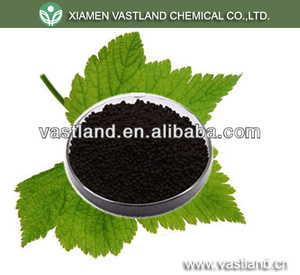 There are 231 peat humic acid suppliers, mainly located in Asia. 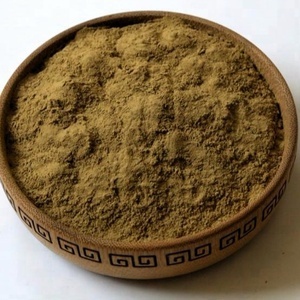 The top supplying countries are China (Mainland), Russian Federation, and Lithuania, which supply 90%, 4%, and 1% of peat humic acid respectively. Peat humic acid products are most popular in South Asia, Southeast Asia, and Mid East. You can ensure product safety by selecting from certified suppliers, including 53 with ISO9001, 12 with ISO14001, and 1 with OHSAS18001 certification.